Welcome to the website for Winn Brook Estates! The Winn Brook Estates Homeowners Association is a nice 216 home community in the city of Windcrest. 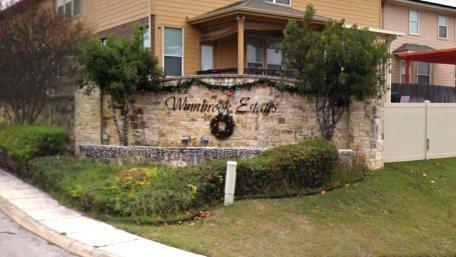 Windcrest is a small city totally surrounded by San Antonio at the northeast corner of Loop 410 and I-35. For a listing of community sponsored events please visit our events calendar. The Board of Directors meets annually to conduct the business of the association. The meeting agendas are posted here at least 72 hours prior to the meeting.